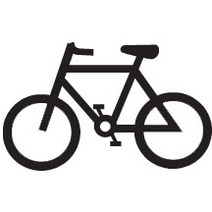 ​Bike to School Day 2019 will be on Wednesday, May 8th! 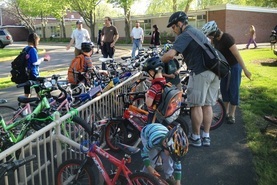 It was a beautiful morning for Bike to School Day. 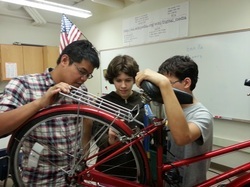 We had a great time talking with students at Urbana Middle and High Schools where we hosted a bike station with University of Illinois students. Westview Elementary had fun with Champaign School Board Member Kathy Shannon meeting and greeting the parents and kids who bike to school. Families joined the fun at Kenwood Elementary too. 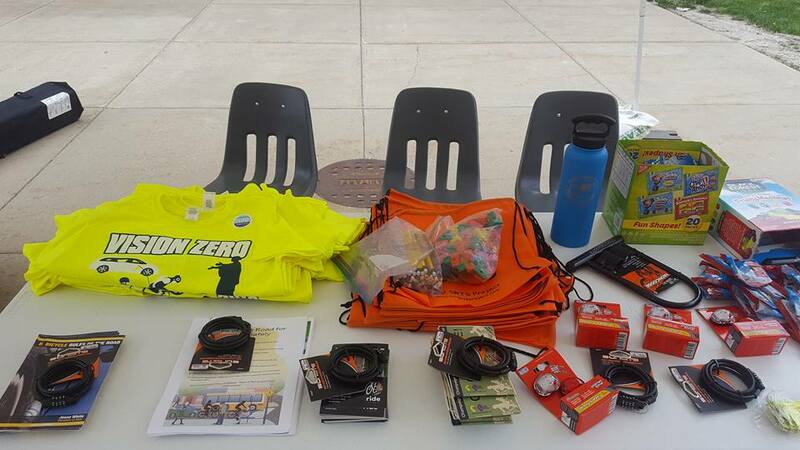 We distributed bike locks, C-U Bike Month t-shirts, bike lights, and string bags at the Urbana Middle and High School station. 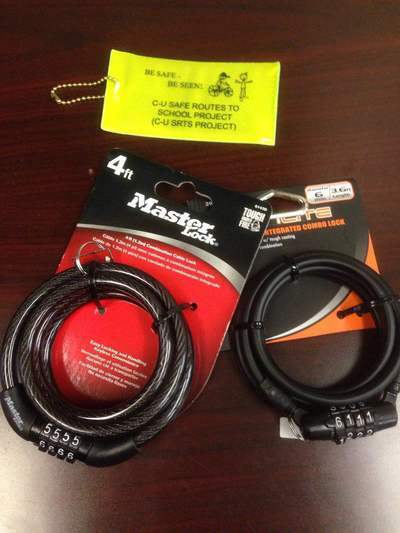 May was a busy month as it is Bike Month! 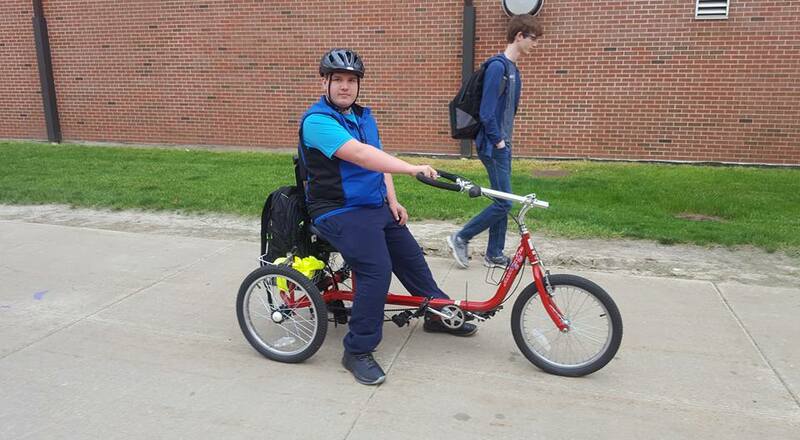 During May C-U SRTS Project ran four bike rodeos. 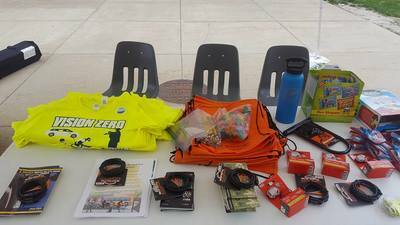 The events are a lot of fun and kids learn and get to practice important bicycle safety skills. We are able to run these events thanks to the very generous donation of time by many volunteers and staff. Thank you everyone! Pictures from the events are below. 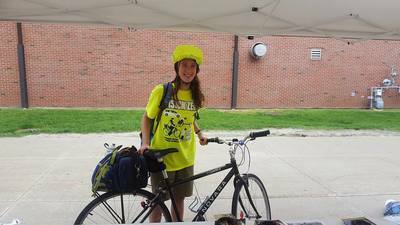 This year, Bike to School Day is Wednesday, May 10. We had 73 students from 17 school around Champaign-Urbana registering for this event. Each of them received a Bike Month T-shirt. Volunteers went to 6 school in the morning distributing T-shirts, backpack reflectors and bike maps, and had a great time greeting and cheering for students biking to school. 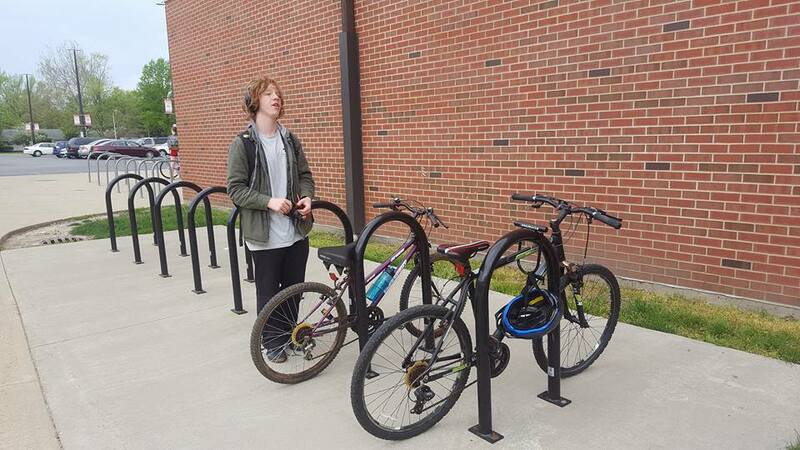 Today, only 13 percent of children ages 5 to 14 walk and bicycle to and from school - a dramatic drop from 50 percent in 1969 of children who walked to school (The CDC Guide to Strategies to Increase Physical Activity in the Community). 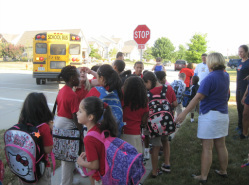 As a result, school districts and families spend billions getting children to school. 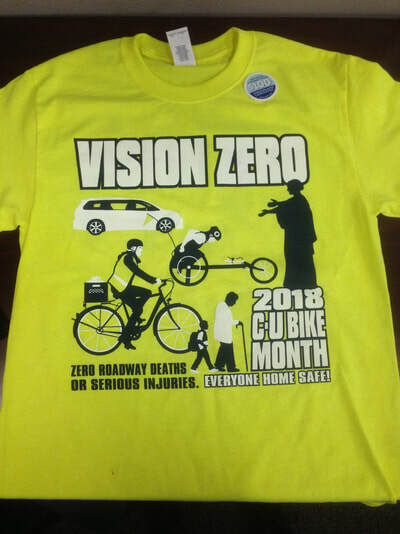 The high number of vehicles around schools create traffic congestion, safety hazards, air pollution, and wear on streets. Safe Routes to School works to improve streets, sidewalks, and build bike lanes so that children can safely walk and bike to school. In 2009, U.S. families drove 30 billion miles to take their children to and from school. This cost was $5 billion in fuel. b) Kids are more physically fit and healthier. This is particularly important in light of the fact that there are currently 23 million overweight children and teens in the U.S. In Illinois, approximately one in three children maintain a weight that puts their health at risk. Bicycling and walking to school also helps to reduce financial burdens on school districts by reducing hazard busing costs. The maintenance and construction of safe streets, sidewalks and bicycle lanes require the assistance of engineering, planning and construction firms. These projects create more jobs per million dollars spent than road repair and construction projects.